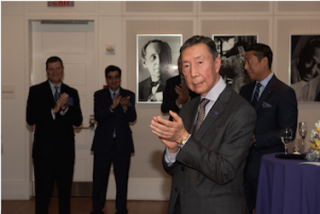 Founder and chairman of Shen Milsom & Wilke, Fred Shen, passed away suddenly on Tuesday, May 31, 2016, after a massive stroke. Shen was 74. Shen was a mentor and friend to all those who worked with him during his career. He spent the last 30 years as the visionary behind SM&W’s success. When he founded the firm in 1986, he saw that there were two forces converging: the global economy, and the need for innovative and coordinated specialty services in building designs. Shen created a global footprint and with it, a multidisciplinary consulting firm to meet all of the needs of his clients. SM&W continues to move ahead under the leadership of Tom Shen, who took on the role of president and CEO earlier this year. The firm feels confident that the principals and staff that Fred Shen helped put in place are among the most dedicated and talented in the AEC community. With the support of friends and clients, the firm plans to continue Shen’s legacy and look to further the mission of SM&W: to be the most recognized, innovative, and trusted multidisciplinary consulting services firm in the world. He was recently awarded a Lifetime Achievement Award at the firm’s 30th anniversary celebration at Carnegie Hall on May 11, 2016. The entire Shen family is incredibly shocked and saddened by this sudden event. The firm’s board of directors will place any information it receives about the family's plans on the SM&W website as soon as it becomes available.